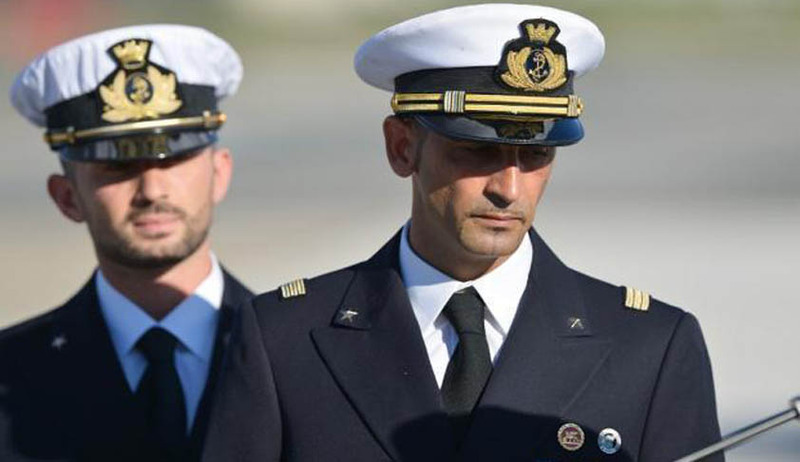 The Supreme Court of India has allowed one of the two Italian marines accused of killing two Indian fishermen in 2012 to return home on medical grounds. Massimiliano Latorre, who was recently released from a hospital in Delhi after treatment for an ailment, has been allowed to go home for four months. But SC made the relief conditional on the accused and the Italian government giving a clear undertaking on dates of departure and return. "Undertaking should be plain, simple, unambiguous and unequivocal by the accused and the Republic of Italy. The order comes into operation only after they give such an undertaking," a bench of Chief Justice R M Lodha and Justices Kurian Joseph and R F Nariman said while asking the lawyers for Italian ambassador and the accused marine to withdraw eight paras from their previous undertaking which raised objections of territorial jurisdiction. SC also took into account the Centre's stand where it said "in principle" it had no objection to the plea by marine Massimiliano Latorre, who suffered a brain stroke on August 31. It said Centre will facilitate his passage from India to Italy and back. Meanwhile, Freddy, an eyewitness and a victim of the firing incident, told the court he did not want to press his application opposing Latorre’s plea. Freddy, in his plea, had earlier submitted that medical examination of Latorre was necessary because of the previous conduct of the marines. “In an extreme step they refused to return to India claiming diplomatic immunity and which reached to the extent of serious diplomatic issues between two countries,” he had pointed out. MassimilianoLatorre, 47, was hospitalised last week for treatment of ischemia - a blood blockage that can lead to a stroke. The Supreme Court had earlier sought a response form the Center over sending Lattore to Italy to recuperate. On behalf of the Italian government its ambassador Daniele Mancini furnished an undertaking assuring SC that the ailing marine would abide by all terms and conditions set for his travel to his native country. Taking it on record SC said condition for the relief granted to Latorre would be same as set by the apex court on February 22 2013 when the two marines were allowed to travel to Italy under the control and custody of the Ambassador of Italy in India, to cast their ballot in the elections. Latorre and the ambassador through senior counsels Soli Sorabji and KTS Tulsi prayed before SC to allow him to return to Italy for his "more rapid and complete recovery".